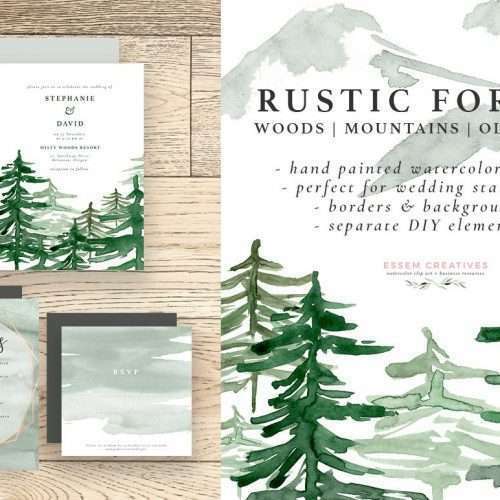 DIY Watercolor Invitation – in under 10 minutes with free software you have. 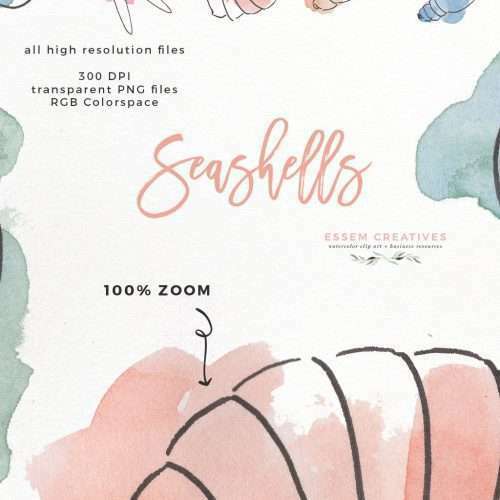 You can use this process to make your own Under the Sea Birthday Party Invitations! 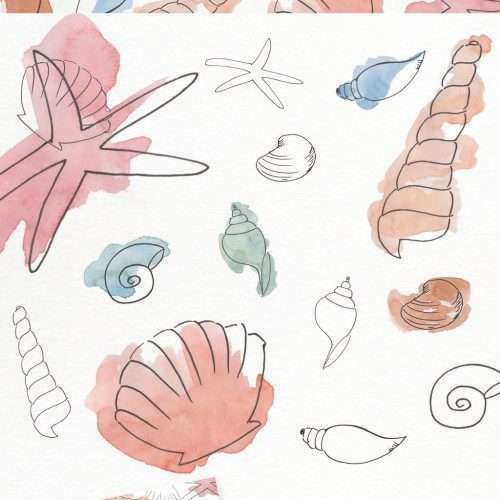 This is a set of Watercolor Seashells Clipart in the Under The Sea theme. 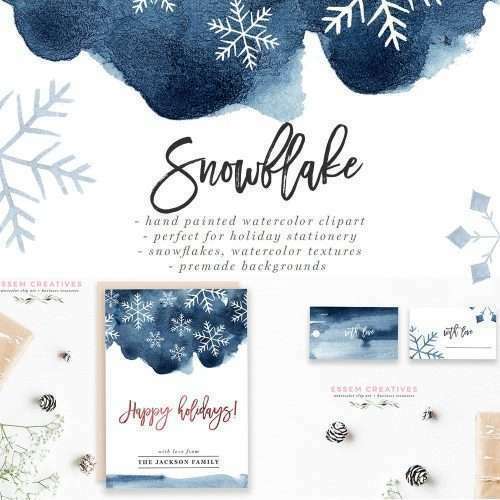 All files come as high resolution transparent PNG files so you can create high quality designs perfect for printing for your special event or brand. 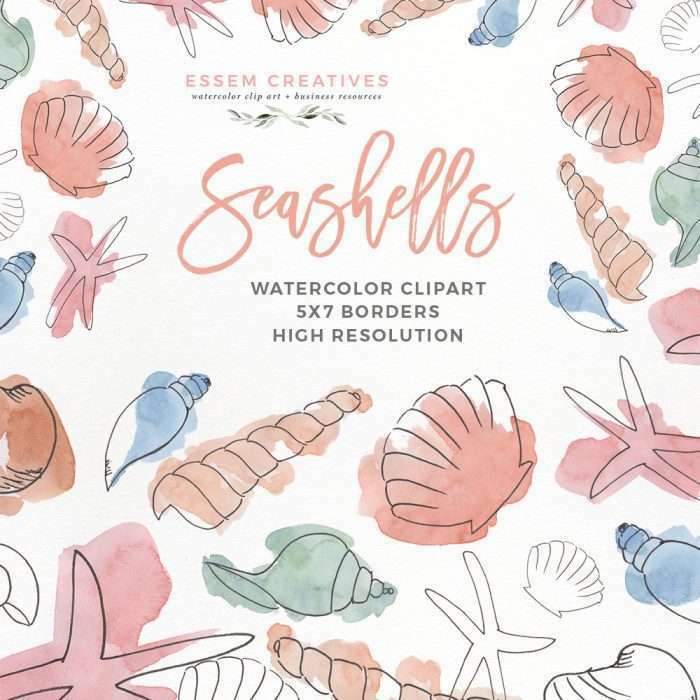 These are perfect for your Under The Sea theme birthday party, baby shower, or even for nursery. 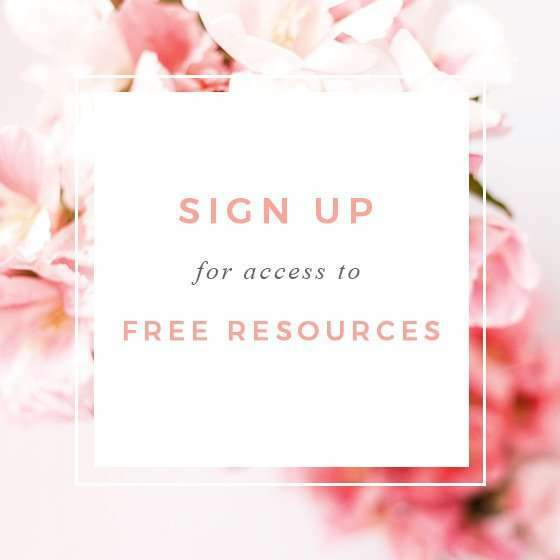 Use these in party invitations, party & event signs, as wall decorations and decor. These have been painted in a classy, modern watercolor style exuding elegance & charm. These will work not just for kids parties, but also for grown ups. Have a friend who is a total beach bum? Your sister is a water baby? 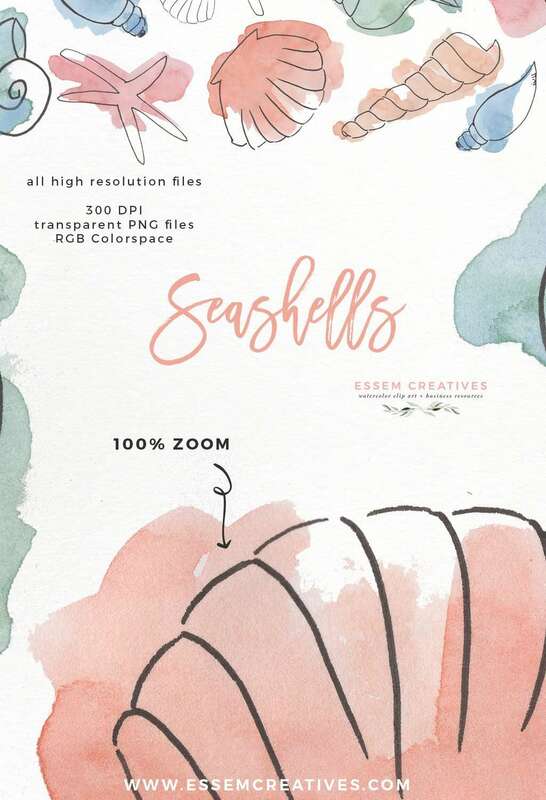 Or as a treat to yourself, print a seashell print out and use as a reminder for all things summer, tropical and beach vibes in your own bedroom / home office. This will make an awesome invitation!